The function of high voltage cables is to send the high voltage output by the high-voltage generator to the poles of the X-ray tube, and to send the heating voltage of the filament to the filament of the X-ray tube. However, in the process of using high voltage cables, it is inevitable to encounter some damage. For this reason, we have summarized several reasons for the damage of high voltage cables, mainly including the fact that the rubber is aging and the insulation strength is reduced, which leads to breakdown. 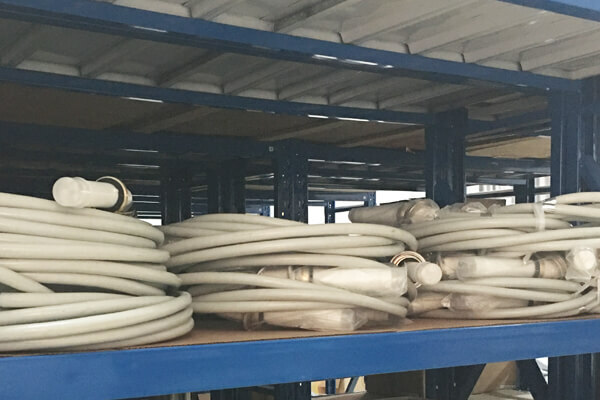 Secondly, the quality of high voltage cables is poor, the thickness of the rubber layer and around the core wire is uneven, careless damage is caused by cutting during assembly, rubber burns is caused by welding, discharge is caused by incomplete cleaning surface, and welding of the core wire and plug is not good enough. Also, the filling agent of high voltage cables has low insulation strength, resulting in breakdown. Often twist, stiffen, or weigh so that the insulation cracks are damaged and broken. No shock resistance or shock resistance is damaged, and the self-rectifying X-ray machine high voltage cables are easily broken.Rectifying tube leakage, leakage electrical short circuit and breakdown. Besides, high voltage cables are corroded by gasoline, transformer oil, rubber expands, and the insulation is reduced to breakdown. For these reasons, the Newheek high voltage cables can meet your different needs, and also provide quality detection and maintenance services for your high voltage cables.